The ultimate luxury experience! Nowhere else in Taupo can you experience luxury penthouse accommodation of this quality. 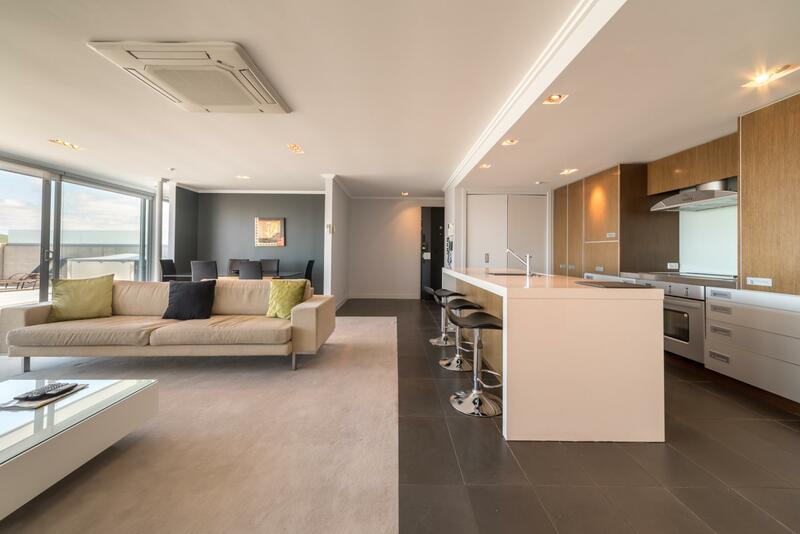 This extremely spacious Two Bedroom Luxury Penthouse Apartment is situated on the top of our main block. Our penthouse apartments have beautiful unrestricted views of Lake Taupo and Mt Ruapehu. Serviced with full laundry and fabulous designer kitchen. Large living area with large screen television, comfortable modern decor.Two designer bathrooms. Huge deck with your own private thermal mineral hot tub and outdoor entertainment area. 5 Star Luxury Lake Taupo Apartment accommodation with the wow factor!